A British comedic drama full of humor, heart, and a touch of poignant nostalgia, that reminds audiences to embrace and love their relatives, no matter how crazy they may be. The Memory of Water is set in the small seaside town of Tyneside in England, where three estranged sisters gather at their childhood home on the eve of their mother’s funeral. Catherine, the youngest, is a bit drug-addled; Mary, the middle daughter, has become a prim and proper doctor; and Teresa, the eldest and a bit neurotic, is the owner of an herbal supplement store and their mother’s former caregiver. Weed-induced hilarity and alcohol-induced bickering ensue when Mary’s boyfriend Mike, a married doctor and television celebrity, and Frank, Teresa’s husband and business partner, join the action. The three women, each haunted by their own demons, come together after years of separation, and all their hidden lies and betrayals are revealed. 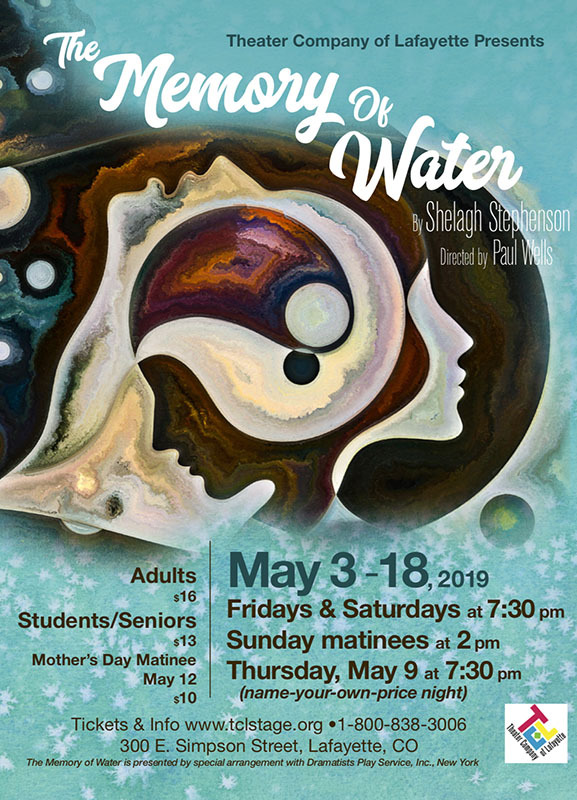 As with anyone dealing with a death in the family, the characters in The Memory of Water experience emotional highs and lows, both humorous and touching, while navigating the treacherous waters and hazy memories of the past. This play is written by Shelagh Stephenson, an English playwright and actress whose written five published plays and acted with the Royal Shakespeare Company.